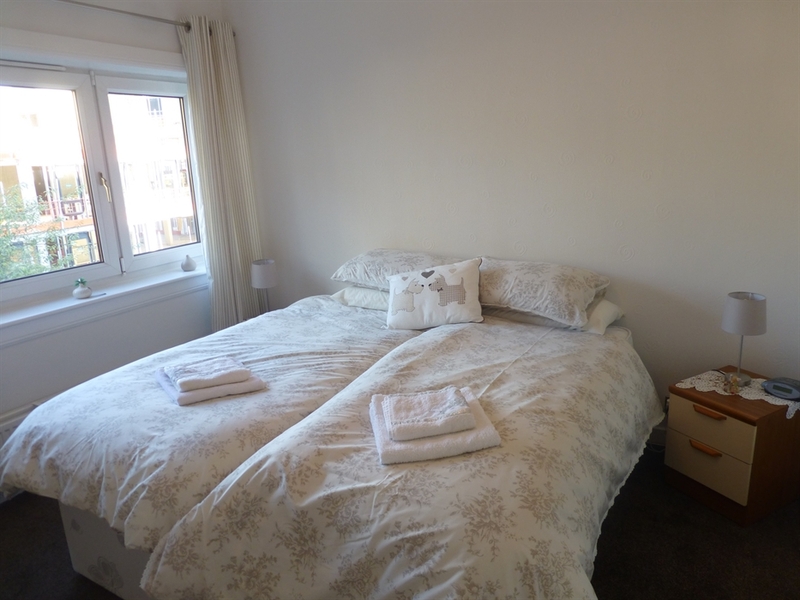 A comfortable, centrally located two-bedroom apartment (sleeps 1–4) on the Royal Mile, within easy walking distance of the major tourist attractions, festival venues, shops, nightlife and transport connections. 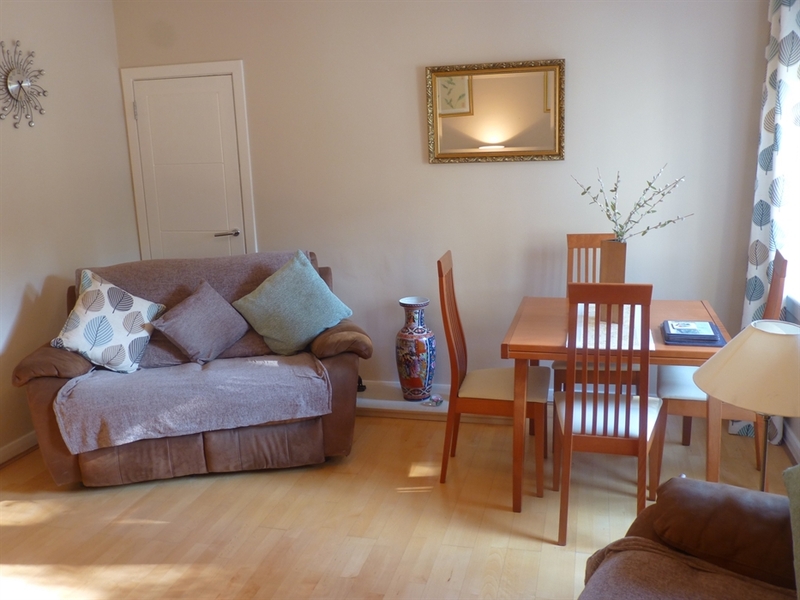 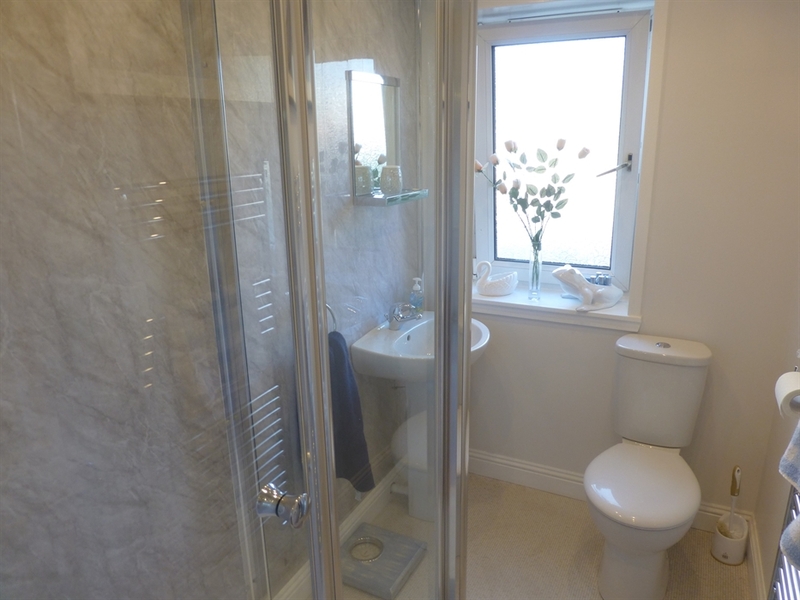 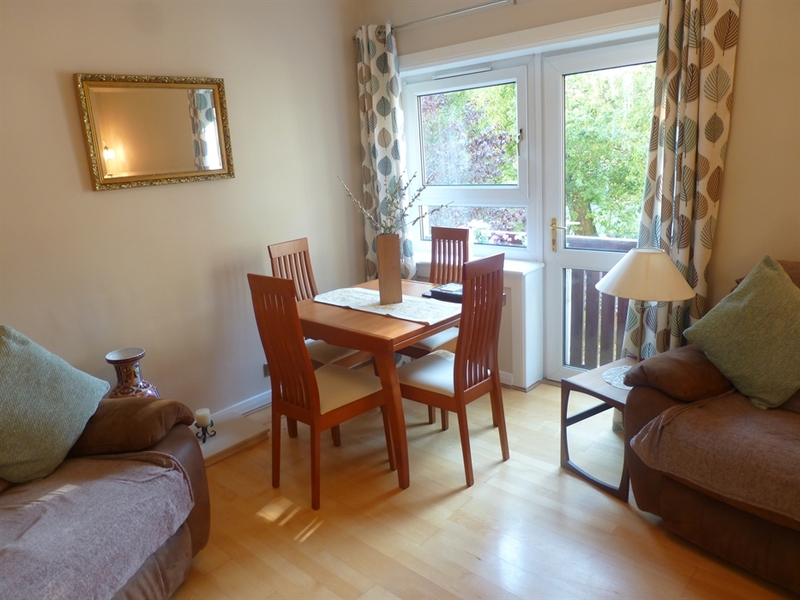 Comfortable and central two-bedroom apartment on the Royal Mile. 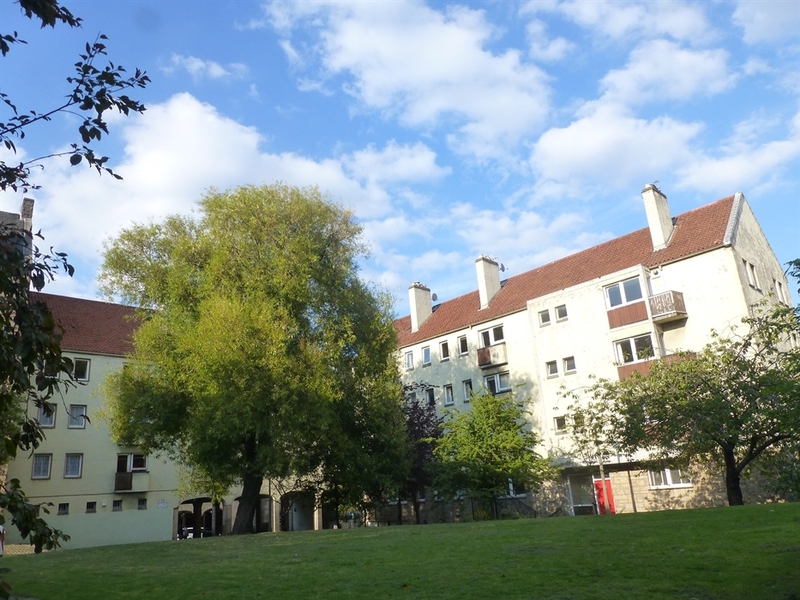 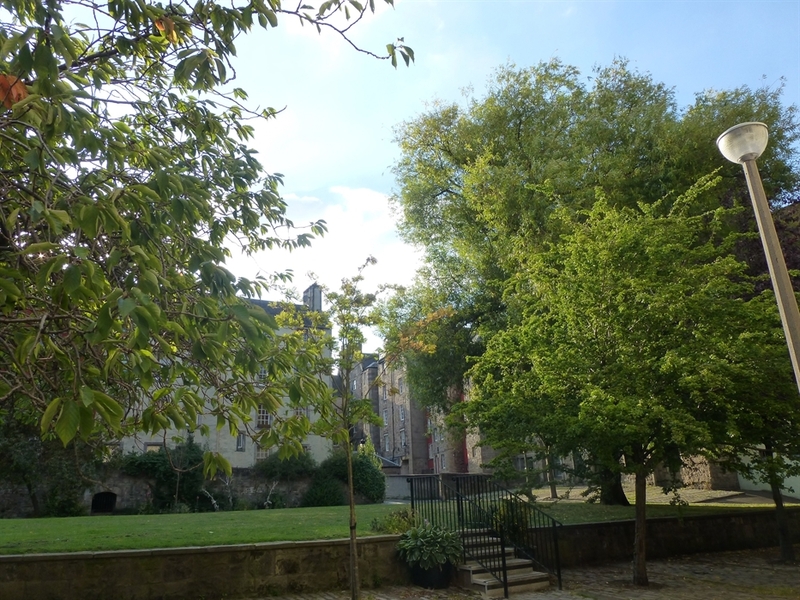 This holiday home is a comfortable two-bedroom apartment on the first floor of modern building overlooking Chessel's Court, just off the Canongate (Royal Mile) in the centre of Edinburgh. 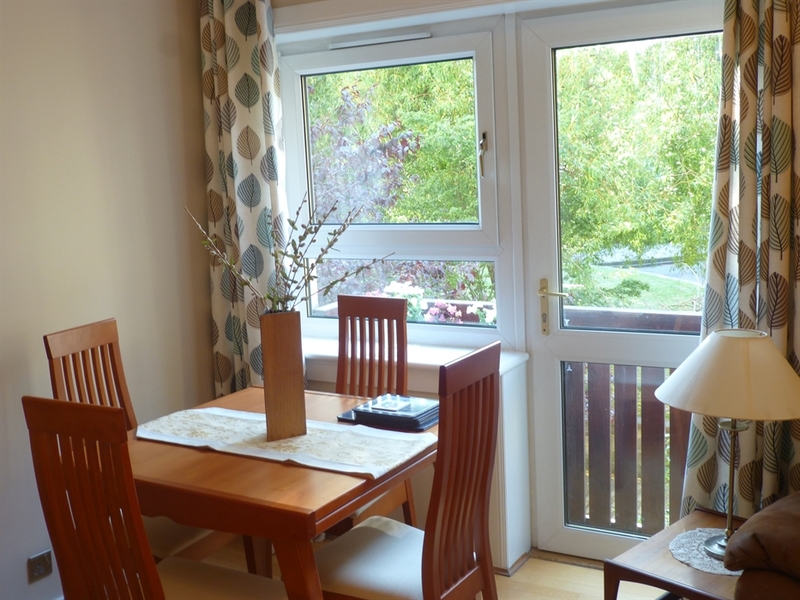 The apartment is within easy walking distance of the major tourist attractions, festival venues, shops, nightlife and transport connections. 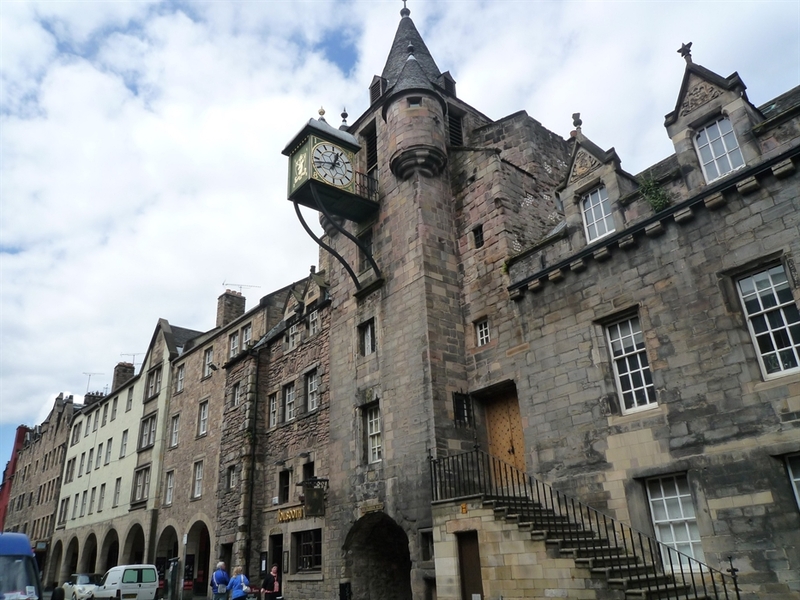 With a Juliet balcony beside the dining area, the living room is light and looks out on to leafy Chessel's Court, which is set back from the bustling Canongate. 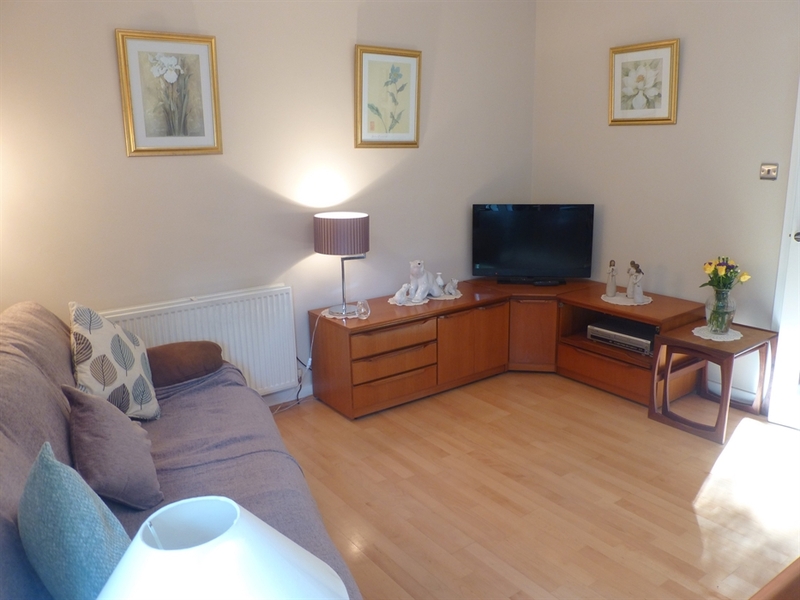 There are two sofas with TV and a dining area. 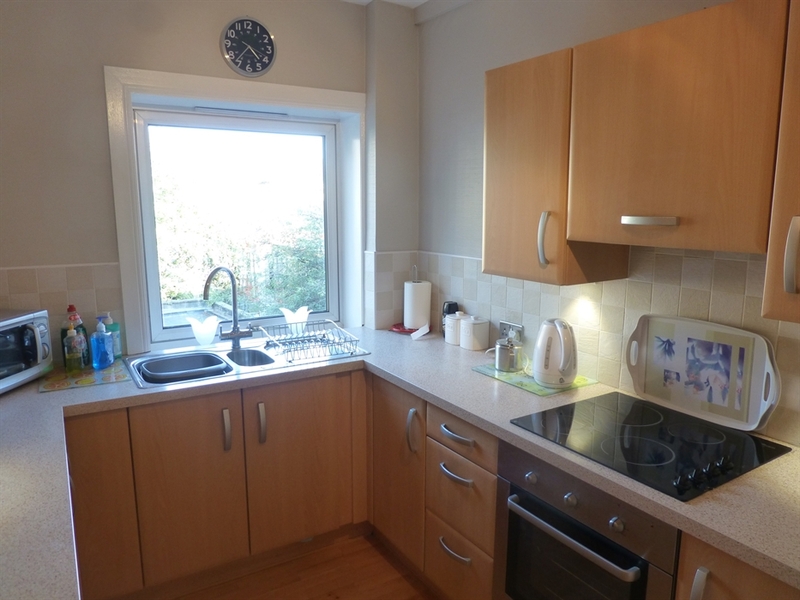 The kitchen is separate from the living room. 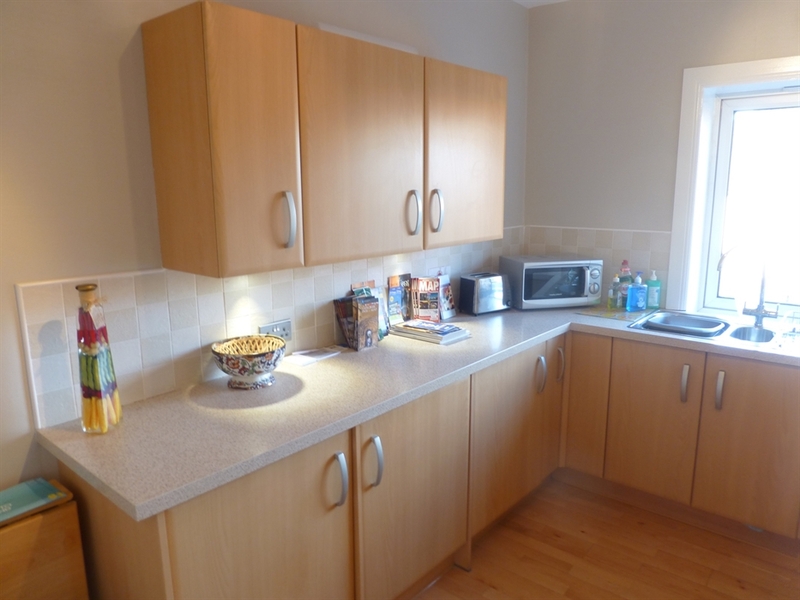 The kitchen is well provided with crockery, cutlery, glasses and kitchenware, as well as a washing machine, fridge, freezer, cooker and microwave. 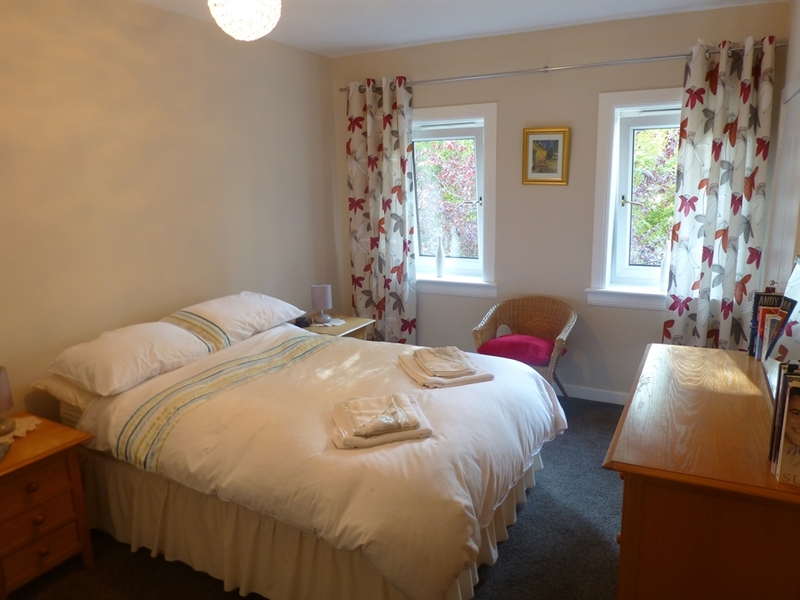 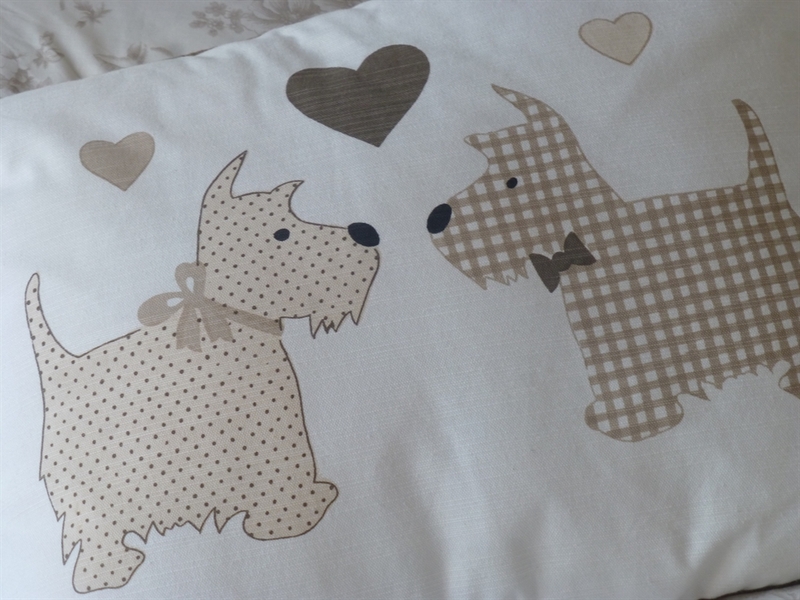 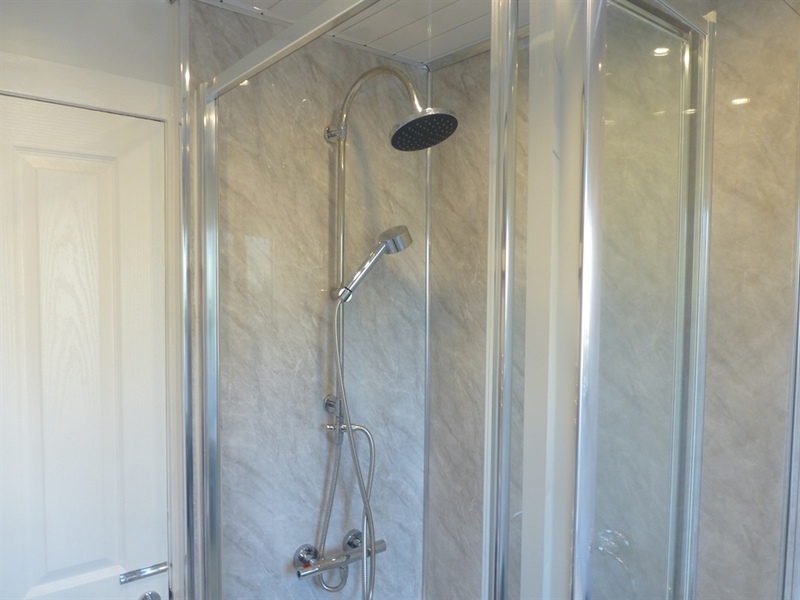 There is a double bed in bedroom 1, two single beds in bedroom 2 (this can be set up to be one single bed if required), and a shower room (no bathtub). 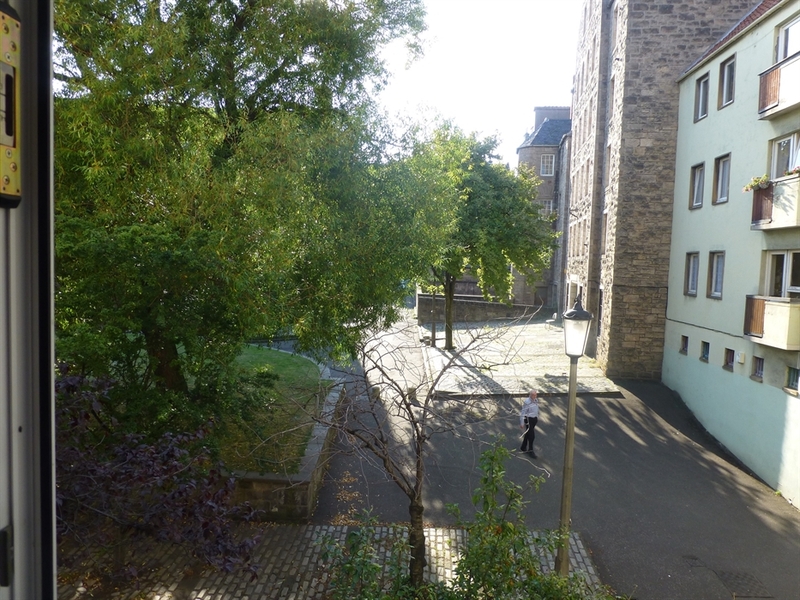 This apartment is situated just off the Canongate (Royal Mile) with a leafy outlook to Chessel's Court, in the heart of Edinburgh's historic Old Town. 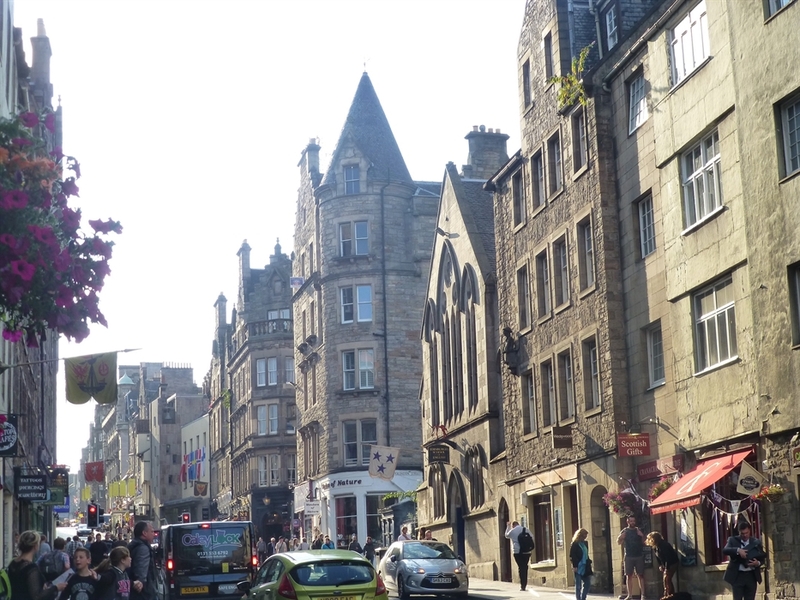 The Royal Mile, the backbone of medieval Edinburgh, connects Edinburgh Castle at one end with the Palace of Holyroodhouse and the Parliament at the other. 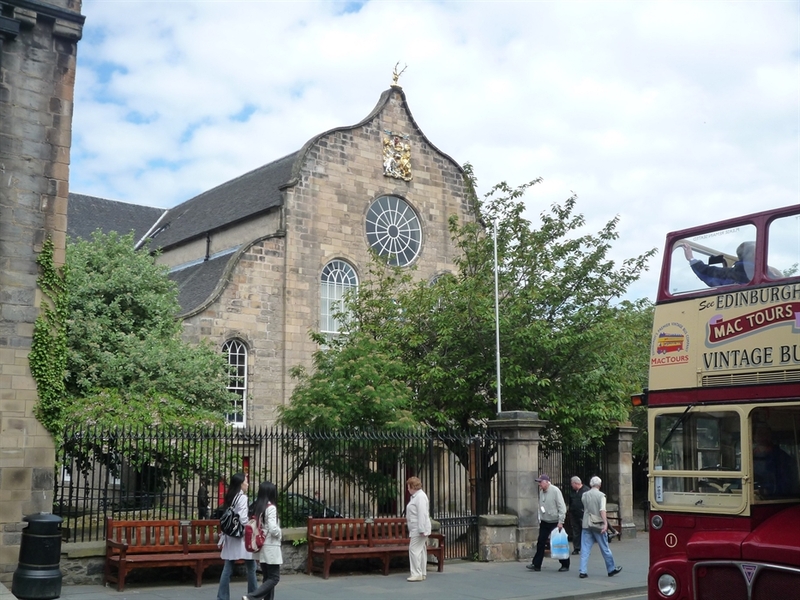 Edinburgh's main visitor attractions are on your doorstep and the neighbourhood is full of attractive independent shops and restaurants, bars and cafés to suit all budgets, from cheap and cheerful pizzerias to fine dining establishments. 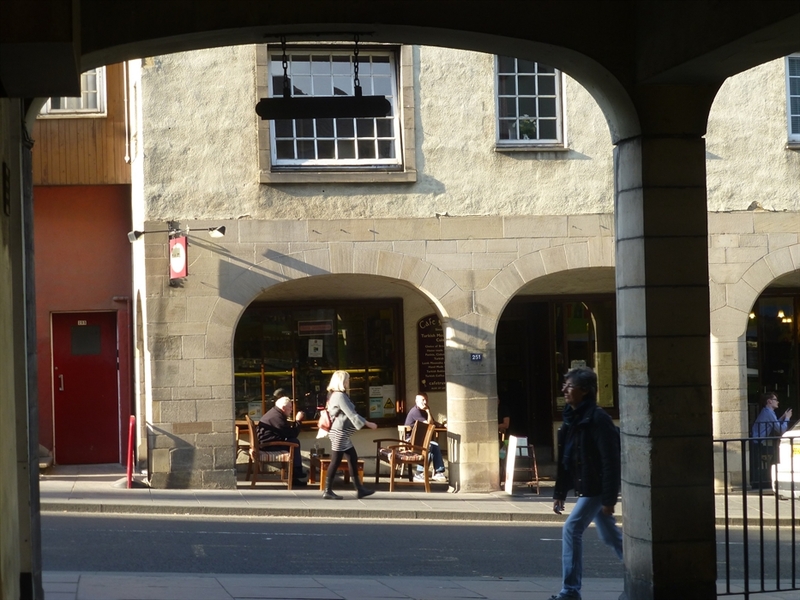 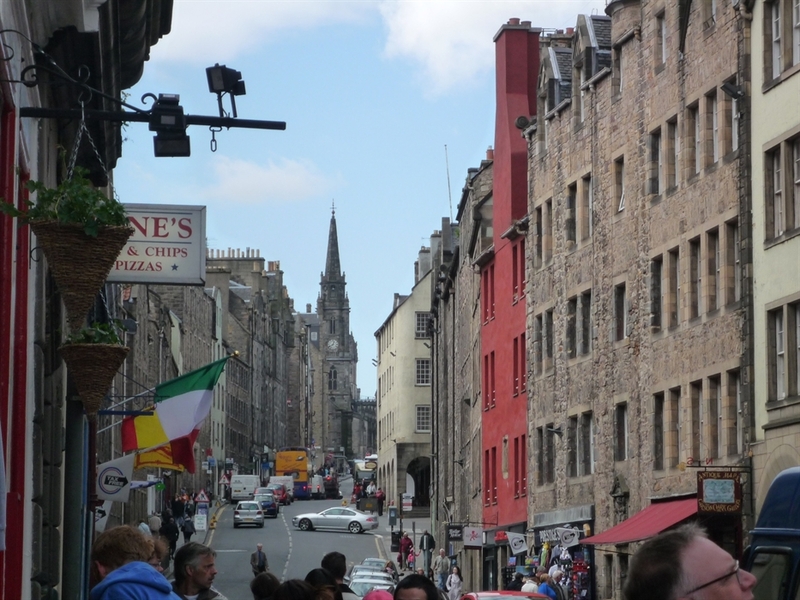 The Hub (the official centre for the Edinburgh International Festival) and the Festival Fringe office are on the Royal Mile, and you can easily walk to many of the Festival venues. 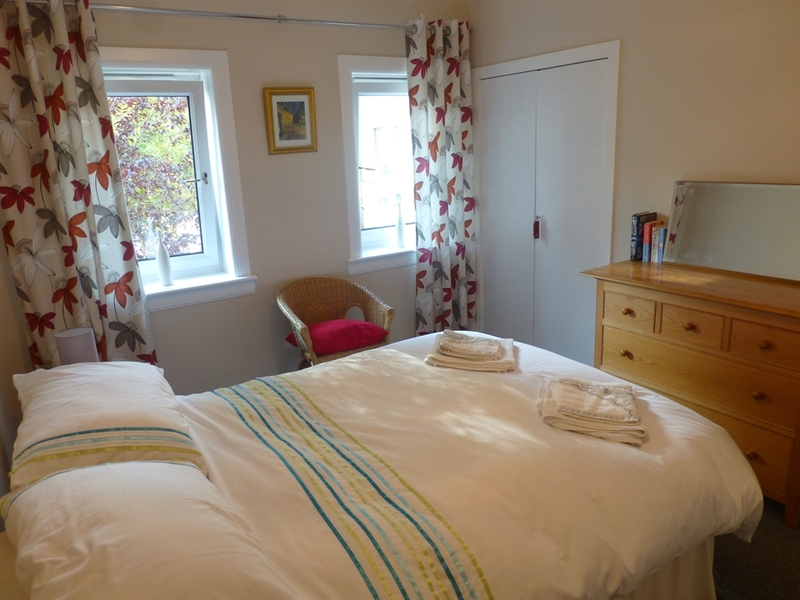 You are also ideally placed to enjoy the Christmas and Hogmanay/New Year festivities.